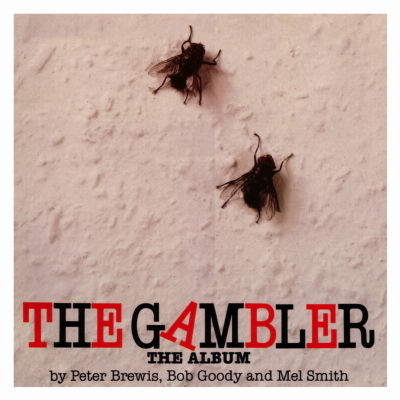 In 1977 Mel Smith and Bob Goody formed their two-man theatre company, Smith and Goody. Peter Brewis joined them later that year after seeing their first show ('Ave You 'Eard The One About Joey Baker?) at the Traverse Theatre during the Edinburgh Festival. Together they took the show to Holland and Belgium and then toured Britain, ending up at the King's Head, Islington. Three more shows followed: Irony In Dorking (Traverse, King's Head, UK Tour) - which won an Edinburgh Festival Fringe First award, The Strange Case of Dr. Jekyll and Mr. Hyde (ICA, UK tour) - written by Andy Smith, and The Gambler. The Gambler was written in response to a request from David Aukin (who was then Artistic Director of Hampstead Theatre) for a show with which to open Hampstead's second venue, the Bull and Gate at Kentish Town. At this time, the three of them were working on a children's series for Thames Television. This left them with only four weeks in which to write and rehearse the new show. Badly in need of a break, they flew to Barbados, rented a house, a piano and a few yards of beach and as the tree-frogs sang in the frangipanis they wrote The Gambler. Originally devised as a three-hander for the writers themselves the show opened at the Bull and Gate on 14th August 1980. After a highly successful run the cast went their separate ways in pursuit of their diverse careers. However, they all felt that the potential for The Gambler had not yet been fully explored. But it was not until 1986 that producer Andre Ptaszynski was able to reassemble the team and the script has now been radically reworked for four actors and four musicians. It was in this form that the show was mounted at Hampstead Theatre on 15th April and, after a widely acclaimed run, transferred to the West End, opening at the Comedy Theatre on 3rd July 1986.